Yoon began by emphasizing the need for simple, accessible technology that anyone can use. No specific products were mentioned, but the demo videos played during the keynote showed fridges that keep track of groceries that need buying, television sets that warn of rising pollution levels and desks that have interactive, holographic displays built in. MIT Media Lab’s Kent Larson was on hand to showcase some of the ways his team are experimenting with future home technology. This primarily involved adaptable spaces: dining tables that were lowered from the roof, beds that slide out from wardrobes, smart walls that can be moved, all enabling people in smaller homes to make more use of the room that’s available. These smart pieces of furniture will all be connected to the Internet of Things too, Larson said. Through the CityHome project and other initiatives, he’s hoping to find ways to avoid young people getting priced out of the property market in dense urban areas — even the smallest apartments can be adapted for a range of uses if the right technology is there. 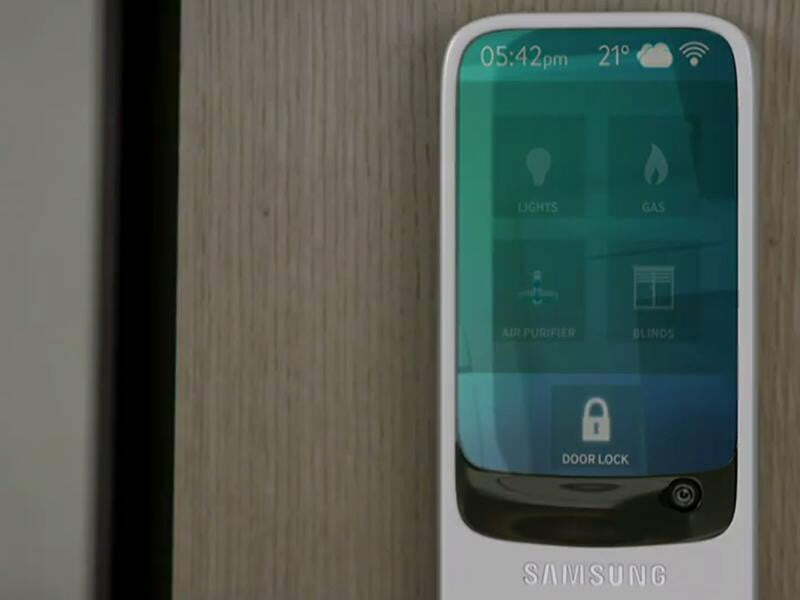 We’ve already heard plenty about Samsung’s plans for smarter homes before of course, and Boo-Keun Yoon didn’t make any new announcements or revelations in his keynote. What was notable was the enthusiasm he showed for the technology and how focused Samsung is on making this vision a reality. Yoon said there would be 45 million smart homes in operation by 2018 in a global market worth $100 million.